Fashion Portrait Of Beautiful Young Woman With Red Hair. 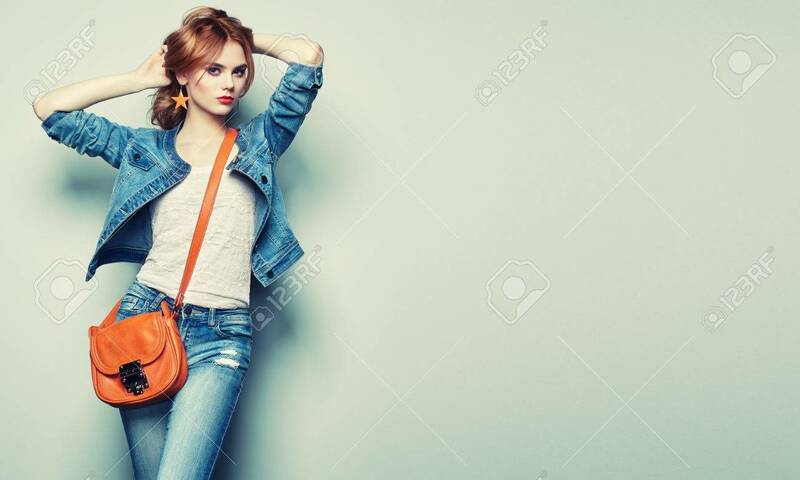 Girl In Blouse And Jeans. Jewelry And Hairstyle. Girl With Handbag Banco De Imagens Royalty Free, Ilustrações, Imagens E Banco De Imagens.. Image 65288410.